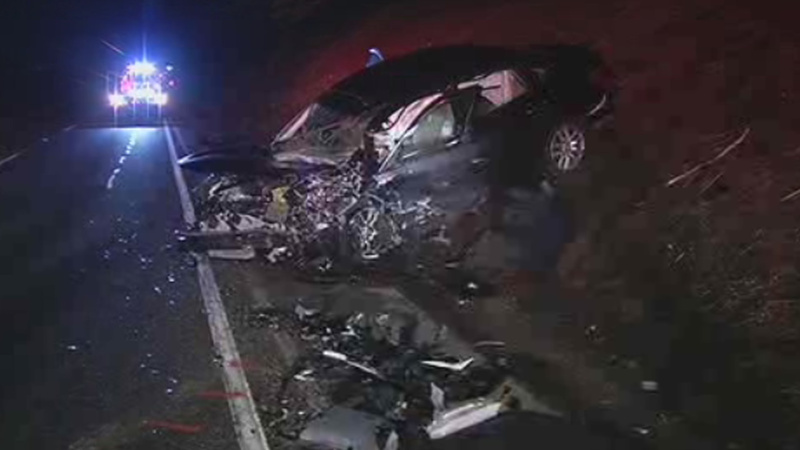 PACIFICA, Calif. -- California Highway Patrol officials said an Uber passenger and a driver of a vehicle going the wrong way on northbound state Highway 1 died in a fiery collision early this morning in Pacifica. A driver of a Toyota Corolla was driving the wrong way on Highway 1 when the Toyota collided with a Nissan Maxima driven a person working for Uber, CHP Officer Vu Williams said. The driver of the Toyota was burned beyond recognition after the car caught fire. A passenger in the Maxima died from injuries suffered in the collision. The Uber driver was taken to a hospital with serious injuries, Williams said. In an email to ABC7 News, Nairi Hourdajian, an Uber spokesperson, wrote, "We are deeply saddened by this terrible tragedy. This Christmas Day, our thoughts and prayers are with the families of those killed and with the injured driver and his loved ones." CHP officials do not know yet whether alcohol or drugs were involved in the collision, Williams said.